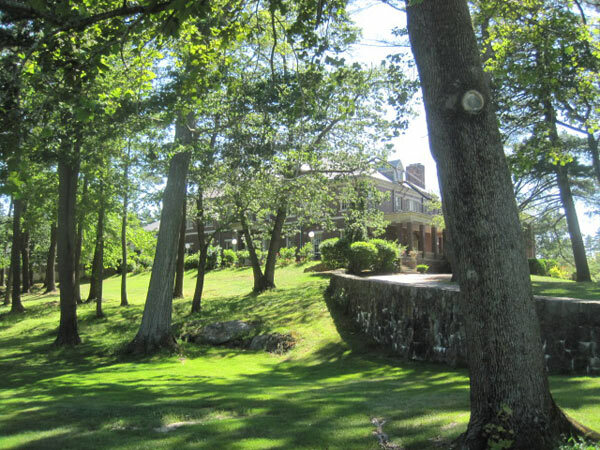 After inheriting his family’s 160-acre estate, shipbuilding magnate John Sedgewick Hyde commissioned Maine’s premier architect John Calvin Stevens and Carl Rust Parker to design a brick Colonial Revival mansion and grounds. The project was built in 1913. 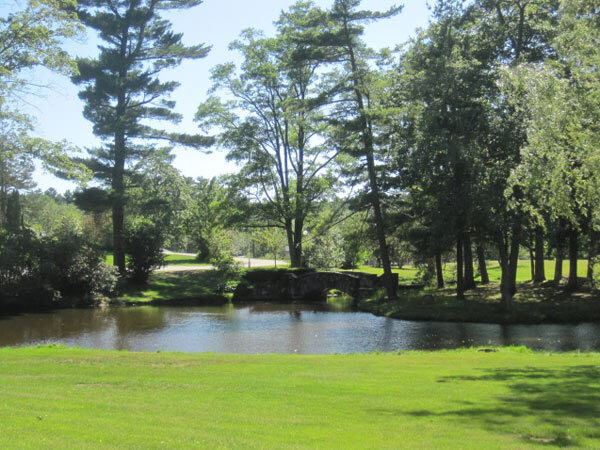 The site is approached from High Street along a curvilinear entrance drive that passes through ornamental iron gates and past stone retaining walls, shrub plantings, and a naturalistic pond with a stone footbridge. An iron picket fence set on a brick base defines the High Street boundary. 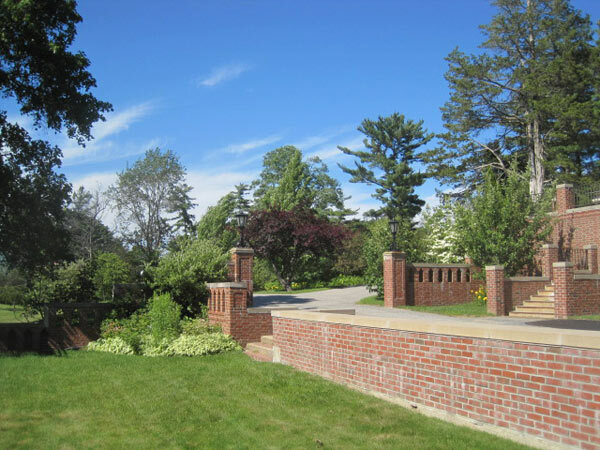 At the mansion’s front, a brick terrace, pergola, and rose garden extend out to open lawn towards High Street. To the rear, symmetrical staircases and landings overlook an Italianate sunken garden, bordered on four sides by walls and architectural embellishments harmonious with the materials and detailing of the mansion. 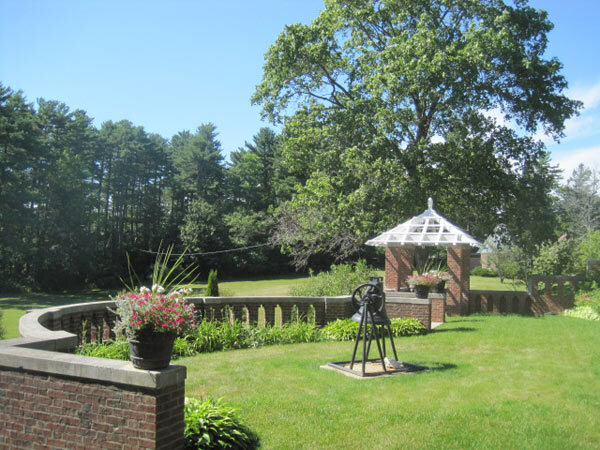 These features include a pair of gazebos overlooking the garden, a 125-foot long greenhouse, a teahouse and reflecting pool, and a 60-foot long pergola. 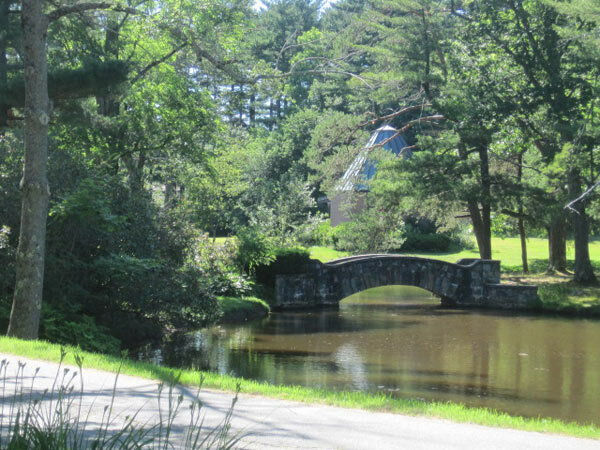 Winding woodland drives lead to Hyde’s former farm buildings and pastures. 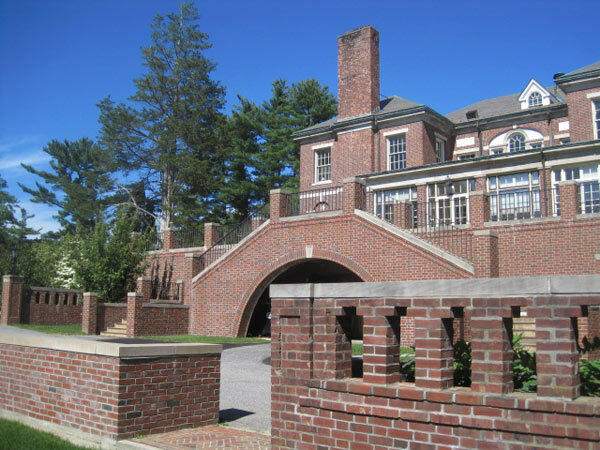 In 1966 the estate was converted to the college-preparatory Hyde School. 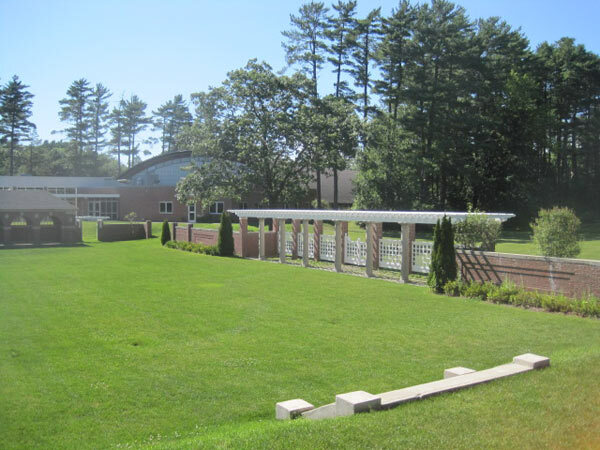 Although new school-related buildings and facilities have been added, many historic features remain including the mansion, the High Street fence and entrance experience, and the sunken garden’s gazebos, teahouse, and rebuilt pergola. 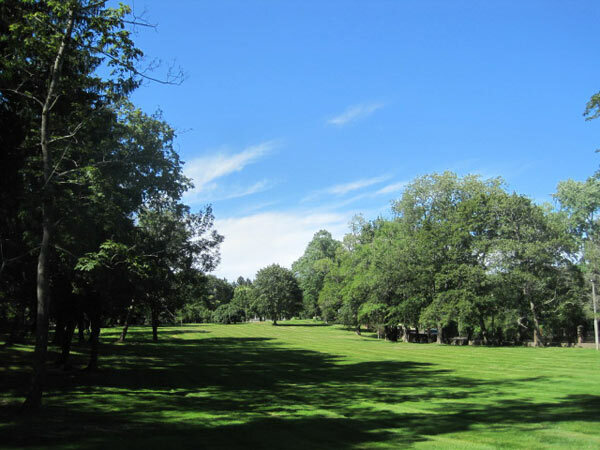 The estate was listed in the National Register of Historic Places in 1978.